Finally. 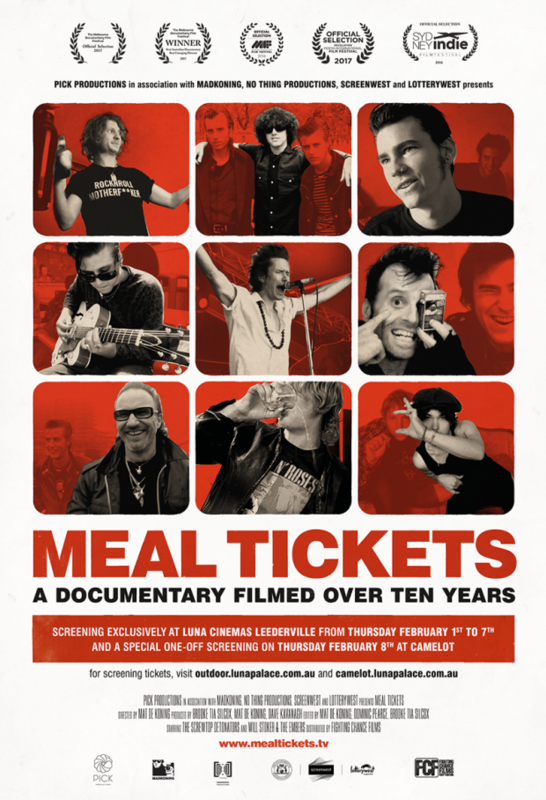 Following a huge reception when it aired as part of the Revelation Film Fest last year, rockumentary Meal Tickets will be screening exclusively at Luna Cinemas from Thursday, February 1 to Wednesday, February 7. There will also be a special, one off screening of the film at Camelot on Thursday, February 8. 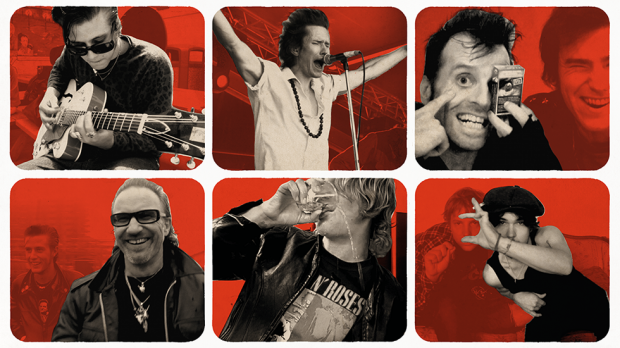 One of our Top 20 Films of 2017, and filmed over 10 years, Meal Tickets gives you a boots on the ground insight into the making of a gigging band with dreams of stardom. It conveys the story of WA band Screwtop Detenators, and the parallel story of Will Stoker & the Embers as well. Their story of dreams and disasters resonates with anyone who has ever picked up a guitar or amp. Meal Tickets screening exclusively at Luna Cinemas, February 1-7, and at Camelot on February 8.